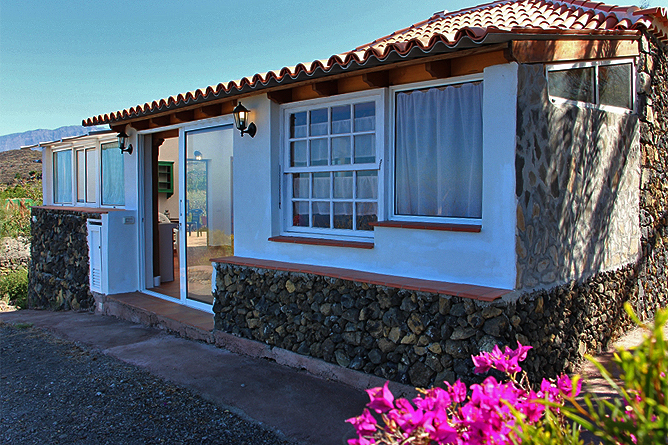 Featuring a central location on the island, the Holiday House makes a perfect starting point for many different activities. 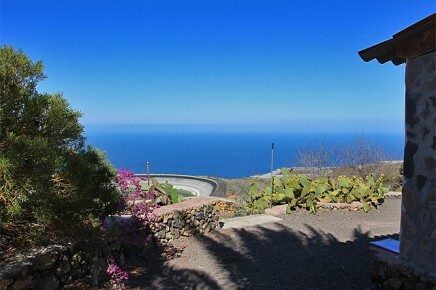 The beautiful, typical Holiday Home Casa Jana is situated on the sunny west side of La Palma, in Las Manchas de Abajo, 418 meters above sea level and offers a spectacular view of the Atlantic Ocean enchanting with beautiful sunsets. Los Llanos and El Paso are both located within 10km. 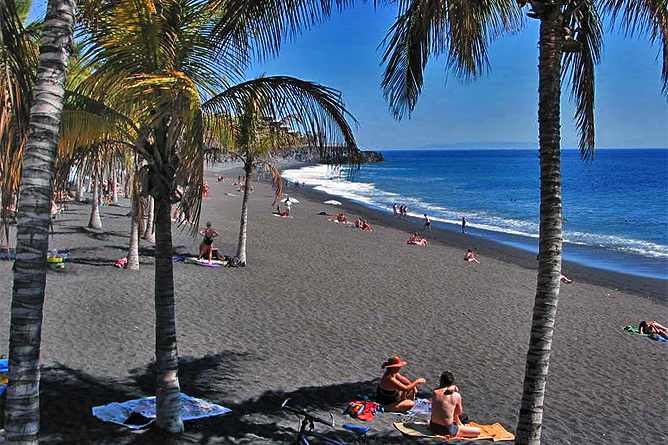 The sandy beach of Puerto Naos is only 10 driving minutes from Casa Jana. The typical Holiday Cottage is a beautiful combination of old and new. In the original part with the bedroom and the bathroom, the dark wood gabled roof as well as stone walls have been preserved. The front building sparkles with a large window facade and a large glass sliding door that leads to the outside. 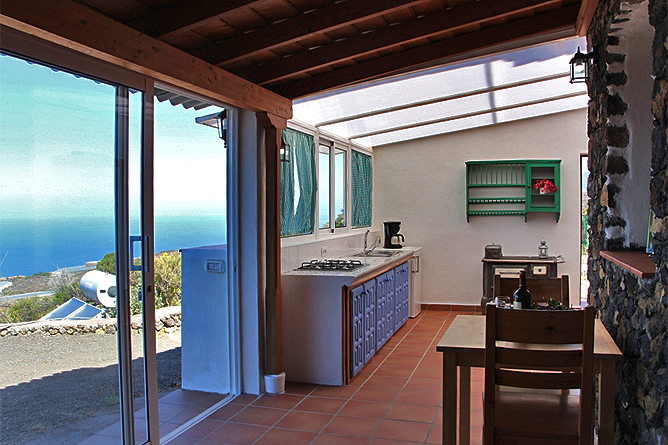 The living area features a wooden ceiling and the kitchen is covered with a translucent glass. 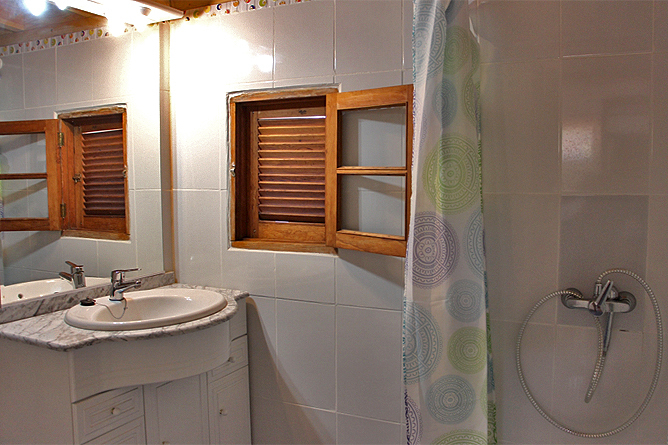 You enjoy a pleasant room climate even in winter. The small dining table with two chairs in front of a beautiful natural stone wall makes a decorative ensemble. In the living area you find a couch, that can also serve as a bed. The kitchen has a basic equipment with a 4-burner gas stove, a coffee machine, a coffee percolator, toaster and a fridge with a freezer compartment. The old brass table is a family heirloom and is used for decorative purposes only. 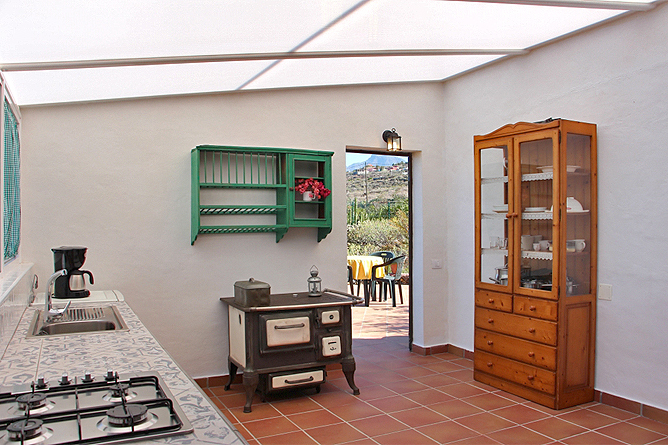 The kitchen provides direct access to the small terrace where you can enjoy the morning sun. 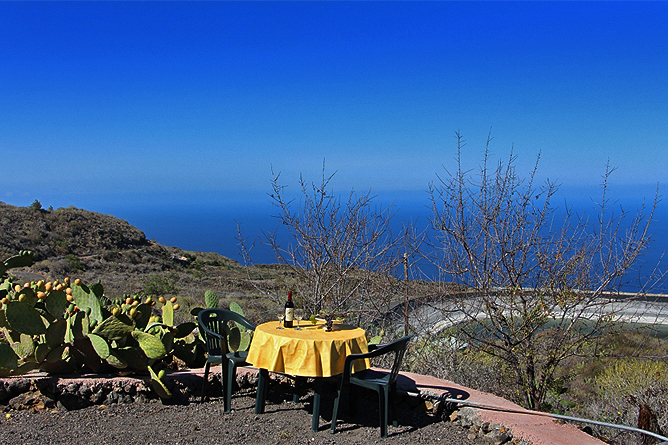 It is a nice place to have breakfast in the morning while enjoying the view of the Caldera range and the sea. 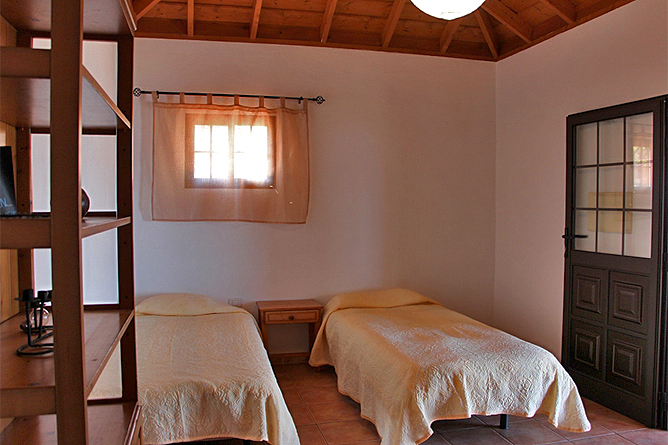 The bedroom with 2 single beds has a simple furnishing with a closet, a chair and a large book shelf as well as a direct access to the bathroom with a shower and toilet. The spacious relaxing area offers space for 2 loungers and a sun umbrella. In order to enjoy the afternoon sun, this area is also perfect for placing the table and chairs there, if you prefer. 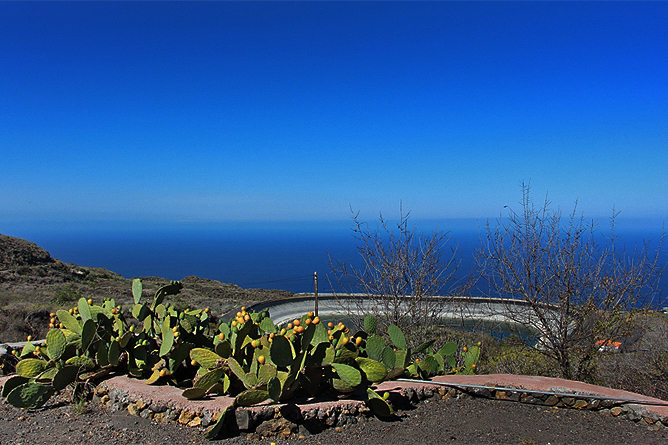 The view of the large water basin and the sunset is spectacular. 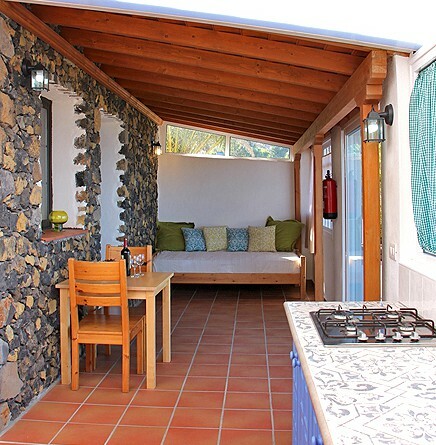 kitchenette with 4-burner gas stove, coffee machine, coffee percolator, toaster, refrigerator with freezer compartment. 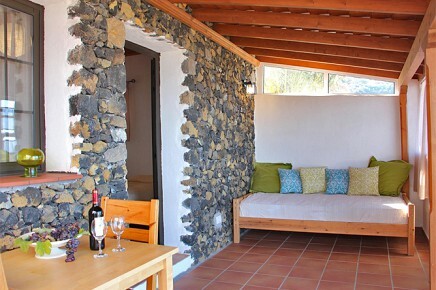 Casa Jana is perfect for Nature Lovers! 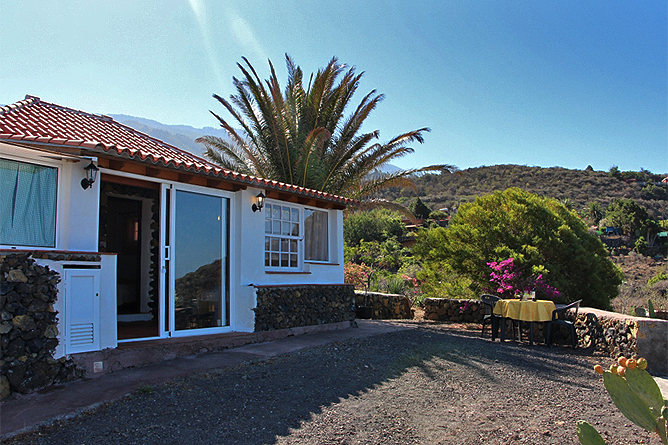 The Holiday Cottage is located on the outskirts of the village Las Manchas de Abajo, on the west side of La Palma. The south facing house offers a gorgeous, open panoramic view of a widely unspoilt landscape and an overgrown vineyard valley to the Atlantic Ocean, the beautiful densely wooded hills of the Cumbre and the mountain ridge of the Caldera. The natural surrounding invites for long walks and hiking tours. 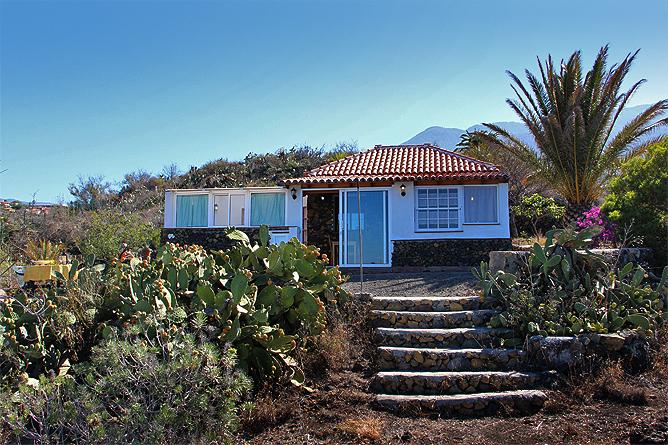 There are hiking trails to Puerto Naos and Charco Verde. In Jedey you can also enter the famous Ruta de Vulcanes, unless you decide to take the complete tour from Refugio de Pilar. 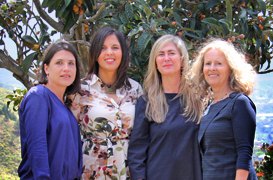 From Fuencaliente you can take back a bus or taxi. 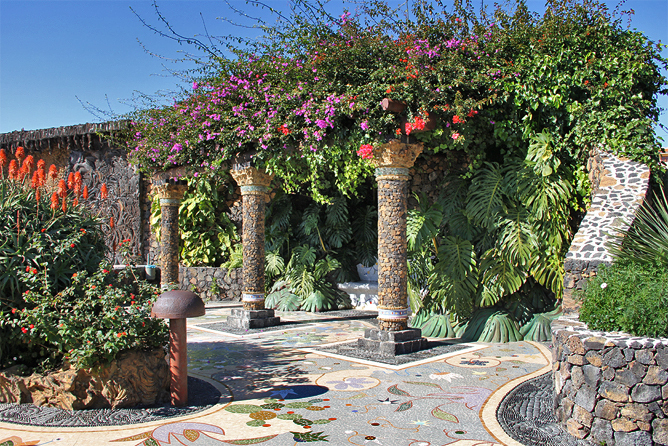 The Plaza La Glorieta designed by the island artist Morera is located only 15 walking minutes from the Holiday House. There are also a small supermarket where you can buy all daily necessities. Another recommendable site is the Wine Museum where you can taste and buy local wines. 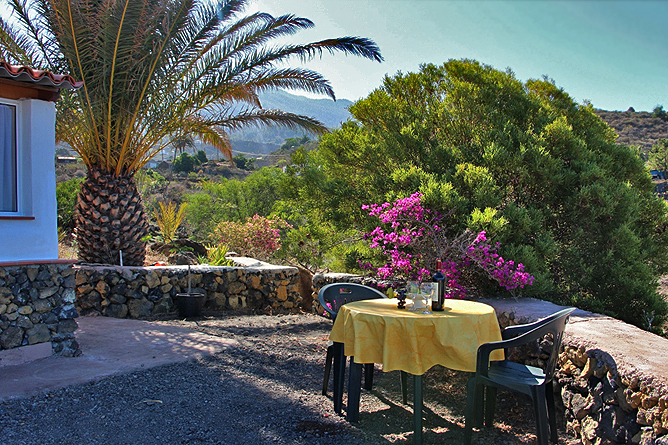 About 5-10 driving minutes from the Holiday House you find the quaint restaurant El Secadero. 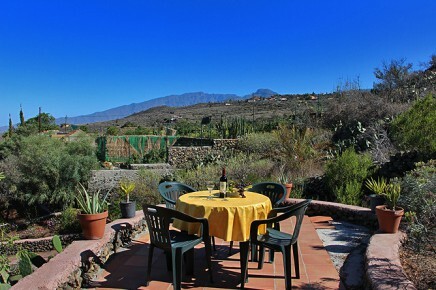 More recommendable restaurants are the Bodegon Tamanca and the Pizzeria Evangelina in San Nicolas. 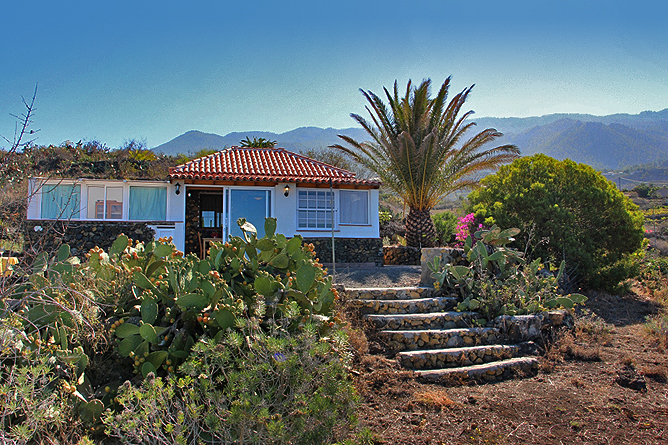 Los Llanos is about 15 driving minutes from Casa Jana and the beautiful sandy beach of Puerto Naos 10 minutes. There you also find many supermarkets, restaurants, shops and entertainment facilities. And there are also a diving- and biking station, as well as a paragliding center. Simple, rustic Holiday Cottage with terrific Sea View.